As one of the first Amazon Web Services Consulting Partners, Six Nines has helped over 250 customers migrate to AWS since 2009. Our mission is to help customers move to the cloud responsibly. Six Nines brings our expertise to bear in both AWS and Microsoft workloads to provide an integrated experience while combining the two best in class technologies. We work with businesses to help them leverage Microsoft workloads, such as Microsoft SQL, Windows Server, Active Directory, Exchange and SharePoint to gain the flexibility and resiliency of the AWS cloud. Licensing: AWS provides several licensing models and Amazon EC2 server types to choose from. Making the correct choice can have huge ramifications to your Windows Server, SQL Server or CAL licensing costs. Networking & Security: Six Nines consults with customers to ensure end-to-end encryption utilizing AWS Direct Connect. Also, we maintain logical isolation of disparate server functions using Amazon VPCs, ACLs, and Security Groups. Storage: In addition to popular storage options, such as Amazon S3 and Amazon EBS, Six Nines can guide you through the decision-making process of whether to utilize SQL Server on Amazon EC2 or Amazon RDS. 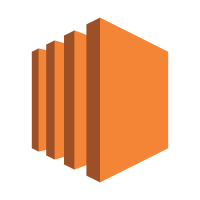 Amazon RDS can provide a highly-available, fully managed database service for SQL server. Once all of the key decisions have been made and the environment is stable and optimized on AWS, Six Nines provides ongoing support services. In addition, we provide a billing and cost optimization service called Cloud CIO to ensure the customer is always getting the best value on the AWS cloud platform.